the UK's most renowned beach in Cornwall! 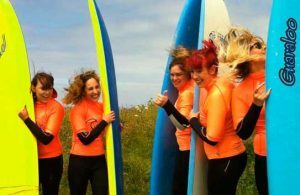 Group surf lessons in Newquay & specialist formats for a fantastic introduction to surfing! 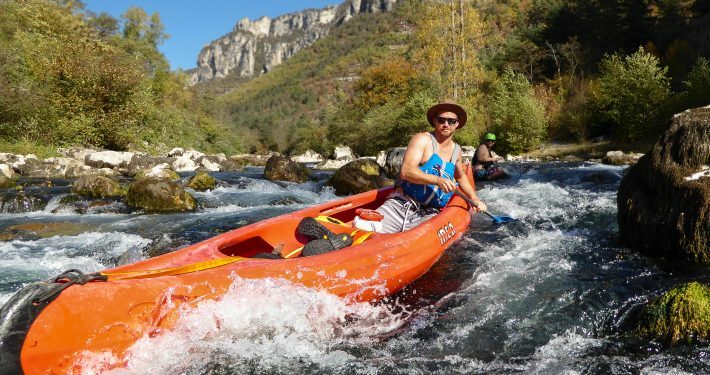 A fantastic blend of adventure, exploration and adrenaline suitable for all ages and abilities. 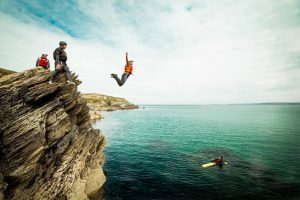 Unique private & group surfing, coasteering and wild camping experiences. 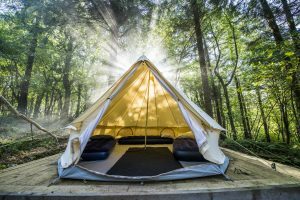 Our fun packed activity packages! 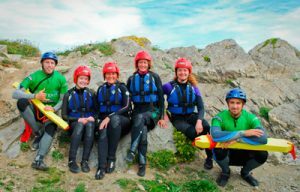 Join our surf instructors in Newquay for a surf experience of lifetime. 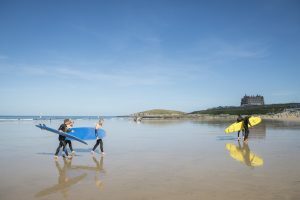 We deliver daily lessons at our surf school Newquay suitable for all ages and abilities. Choose from One on One private surf coaching, Surfari surf packages or create your own series of group & private lessons. Tailor the lesson to perfectly suit your needs. 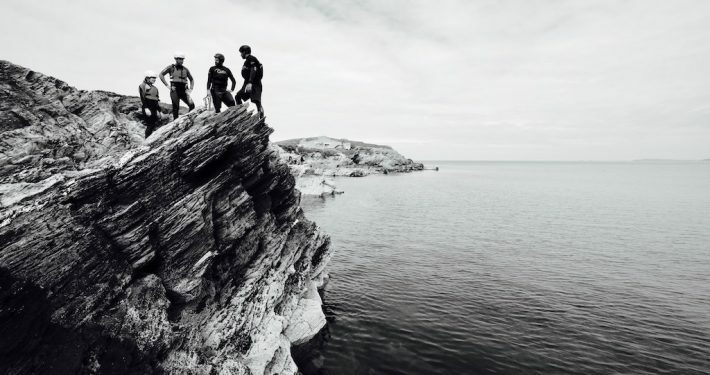 The Classic Coasteer encompasses all the elements that go into making a great Coasteering experience. 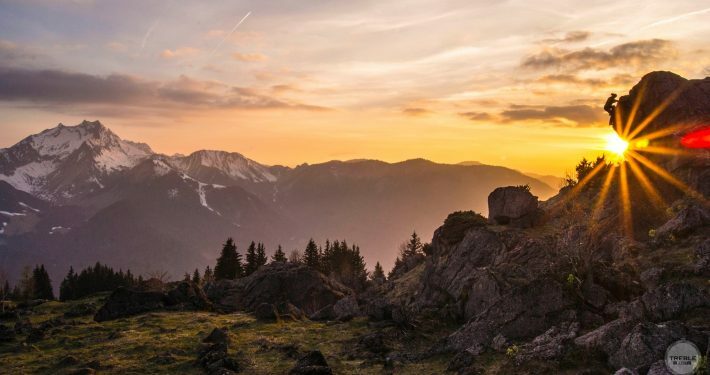 Join like minded adventure seekers for a weekend packed full of activities. 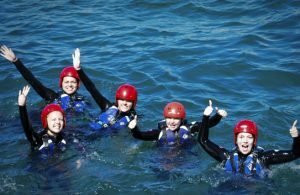 Mini surfing, coasteering & wild camping adventure experiences in a family environment. The ultimate way to explore the coastline. 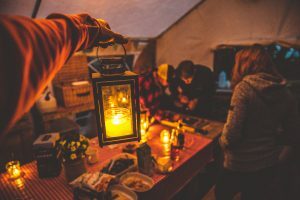 A great family activity, perfect whatever the weather. 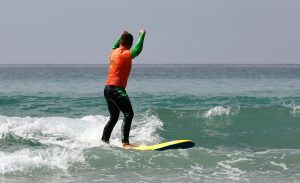 Great value and good laughs – surfing is essential for a Newquay Stag Do! 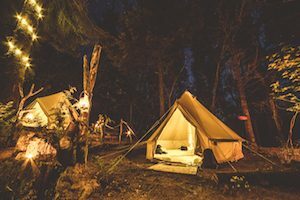 Unique Stag & Hen wild camping, surfing & coasteering packages available. 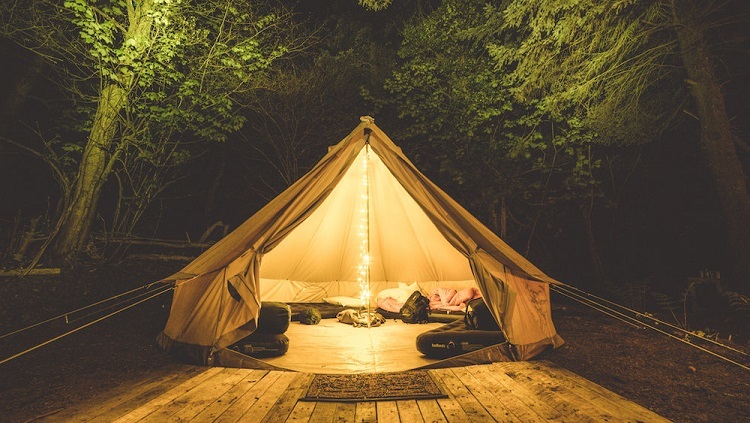 I did the ‘Weekend Adventure Package’ which included two surfing lessons, coasteering and wilderness camping. 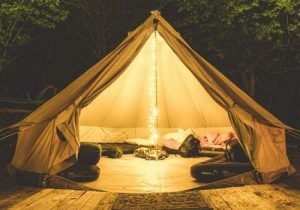 Easily the best outdoor weekend I’ve had in the UK! Great weekend surfing, coasteering and wild camping with Jey, Dazzer and Adrian. They were amazing and the group size is perfect. Highly recommended! Great hosts, great activities and great fun. From start to finish the guys at Cornish Wave completely smashed it! 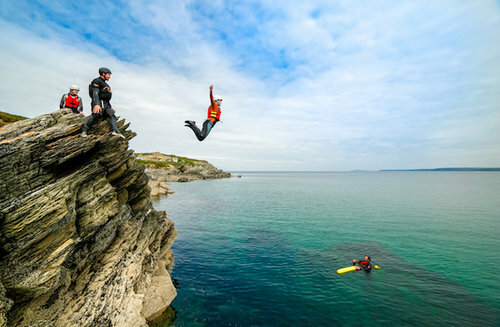 Amazing morning coasteering for the whole family. Coasteering with Jey and Dazzer was the highlight of our holiday! We wouldn’t hesitate to join them again and would thoroughly recommend them. Fantastic Surf Lessons. I’ve had a couple of surf lessons, last year in Portugal, but Jay’s lessons were by far the best I’ve had. I learnt more with Jay in two lessons than I did in seven when I was out in Portugal. 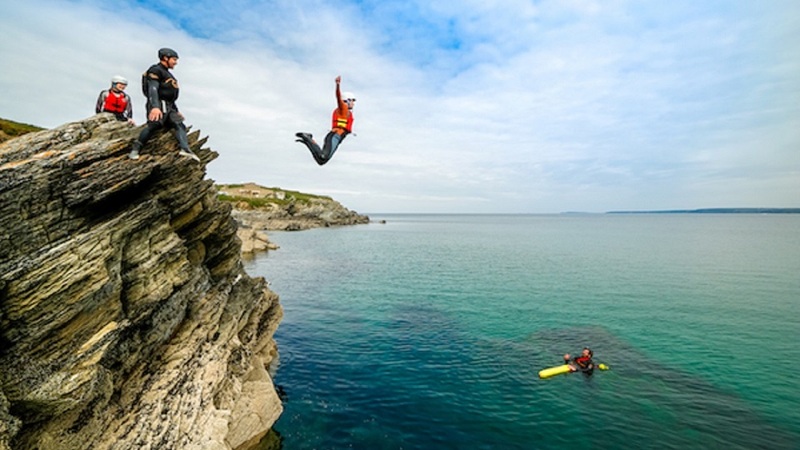 Cornish Wave specialise in tailor made adventure activity packages in Newquay. Choose from a variety of Surf lessons Newquay on a Cornwall beach, an action packed Coasteering session or our unique Wild Camping weekends experiences. The Instructors at our Newquay Surf School are experts in helping beginners learn to surf so contact us to get your adventure started. 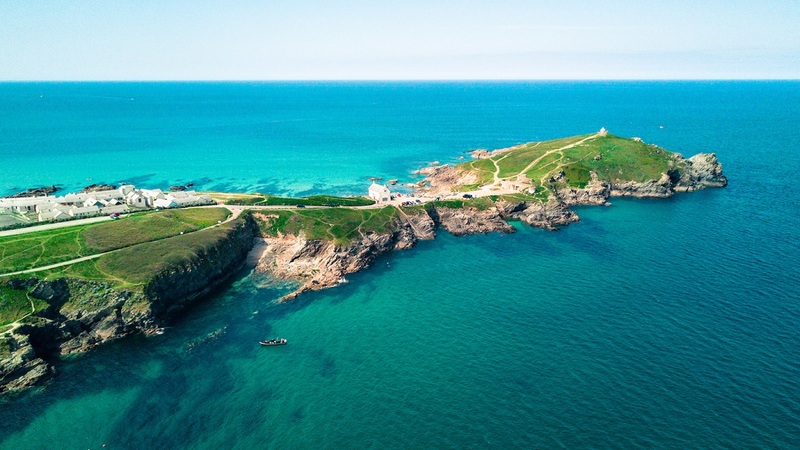 Surfing lessons in Cornwall are ideal for individuals, couples or even larger groups of friends or family to be able to enjoy the sea safely and exploring the ever-popular sport right here on the Cornish coastline. A great fun activity, surfing is fantastic for your fitness levels, offering a challenging physical workout each time you ride the waves. 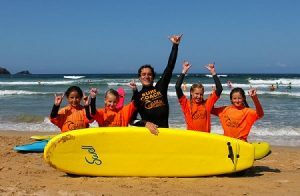 Our experienced, friendly instructors can teach you the skills you need to enjoy this adventurous sport and learn to surf safely. A Surfing Holiday in Cornwall is fun for all! DO I HAVE TO BE A STRONG SWIMMER TO JOIN A SURFING LESSON? You don’t have to be a strong swimmer to take part in a lesson. For our beginner lessons we typically catch waves from waist depth. We do ask that you can swim 25 metres. IS THERE ANYTHING I NEED TO BRING FOR MY SURF LESSON? Please bring something to wear under a wetsuit and a towel. 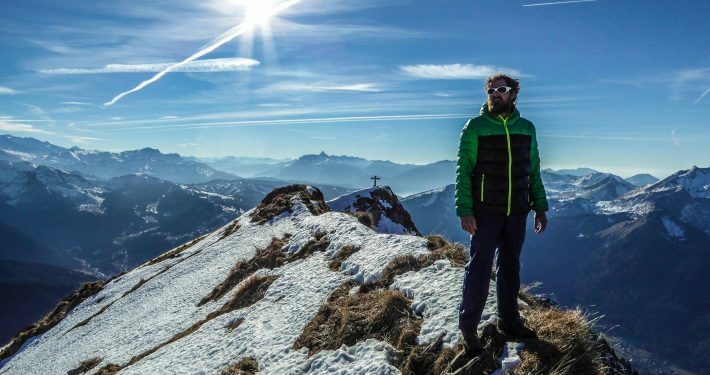 If it is sunny we recommend a bottle of water and some suncream. You may also wish to bring some flip flops for the walk to the beach. WHAT WILL I LEARN IN A LESSON? 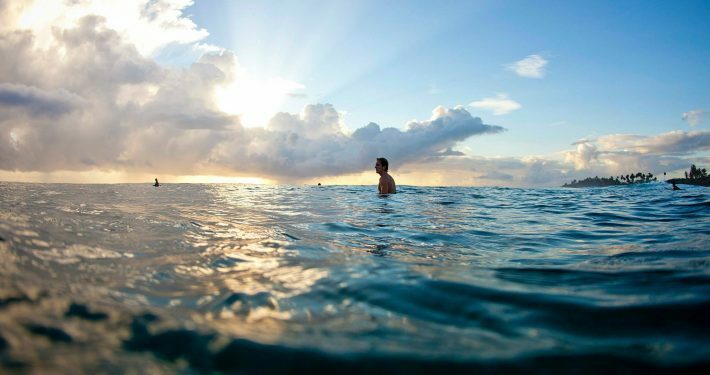 Our beginner surf lessons cover the basics of beach safety and provide you with all the information you need to confidently practice surfing in your own time. From catching waves, popping up, to steering and ocean awareness. 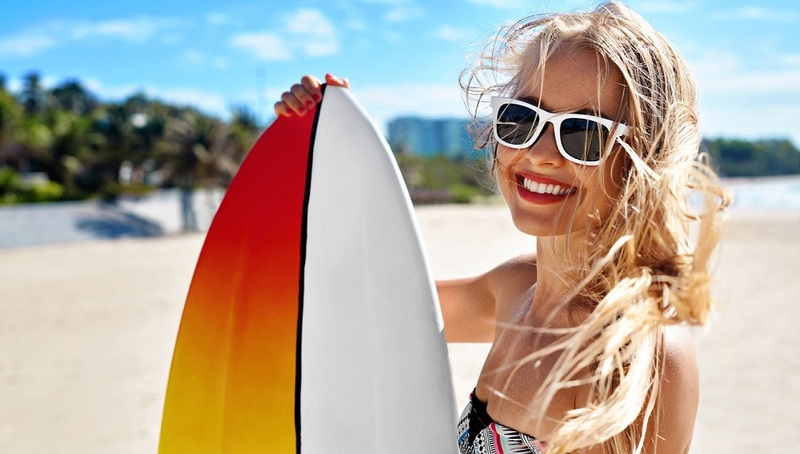 We are surf geeks and can happily answer all your questions and get you surfing in no time!. WHAT IS THE YOUNGEST AGE A CHILD CAN JOIN IN? For group surfing lessons the minimum age is 8 years old. Our range of private lessons cater for children of any age and are fun for everyone no matter how big or small! 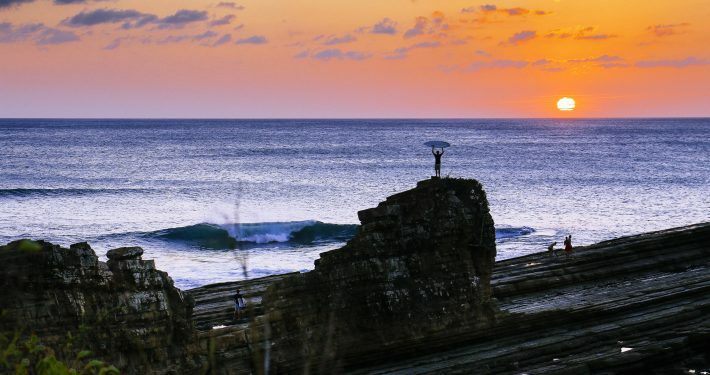 We keep a constant eye on the surf forecast and aim to anticipate ‘flat days’ in advance. We will always attempt to move your activity date or provide a Coasteering session in replace of any canceled surfing lesson. Depending on each situation activity vouchers can also be issued. 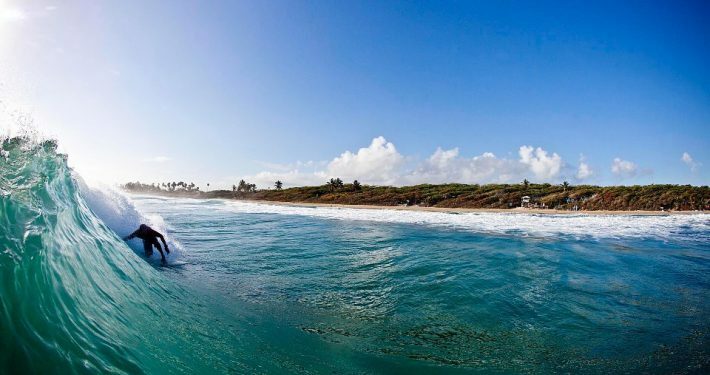 We suggest one day contact lenses for surfing. The nearest pay & display car park is on Tower road, TR7 1LR. ARE WETSUITS AND SURFBOARDS INCLUDED IN THE PRICE? Yes, all the equipment you need is provided as part of the lesson prices. AM I ABLE TO HIRE THE EQUIPMENT AFTER? We happily provide excellent after lesson equipment rental prices. If you didn't find what you were looking for enter your details below and one of our team will help!